WHAT DOES BEING CHARGED WITH ARSON MEAN? Florida recognizes the crime of arson to protect both people and property from the risk of injury that can be caused through way of fire or explosion. If you have been charged with Arson, it is essential you contact an experienced Criminal Defense Trial Lawyer like Kenneth Padowitz. An Arson charge carries with it a Maximum sentence of 30 years in Florida State Prison if the structure is occupied or 15 years if not occupied. Many times these cases are investigated by a Fire Marshall to determine if the fire was due to an accident or foul play. There are numerous defenses that can be employed by an experienced attorney in cases such as Arson. (c) Any other structure that he or she knew or had reasonable grounds to believe was occupied by a human being, is guilty of arson in the first degree, which constitutes a felony of the first degree, punishable as provided in s. 775.082, s. 775.083, or s. 775.084. (3) As used in this chapter, “structure” means any building of any kind, any enclosed area with a roof over it, any real property and appurtenances thereto, any tent or other portable building, and any vehicle, vessel, watercraft, or aircraft. 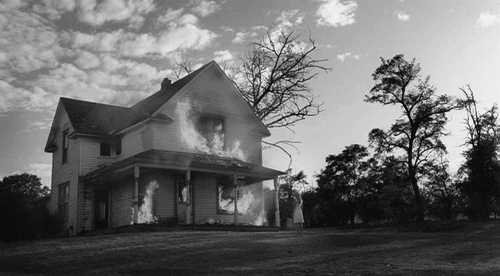 1st degree arson occurs if there is a high probability of human occupancy within the structure, a place where people are usually present, or if the defendant targeted a structure he either knew or had reasonable grounds to believe was occupied. 2nd degree applies to all other structures. What is a Structure in Terms of Arson? The prosecution must prove that the defendant willfully and unlawfully caused damage to the structure or their contents by either an explosion or fire. The defendant does not have to be the one to cause the damage, it can be by another. For-example, a hired arsonist could complete the crime of arson on the behalf of the defendant, leaving the defendant liable as well. Also for a conviction of 1st degree arson the State will have to prove the knowledge of the defendant in terms of knowing or should have known that the structure was occupied.